Kobo released a new update (v3.5) for their ereaders late last week, and they also released an update the the Kobo PC app (v3.9). I don't have details on the changes to the PC app, but early user reports posted at MobileRead are saying that kobo has made significant improvements with this latest firmware. Among the changes mentioned: the v3.5 update improved the scrolling animation in the web browser, sped up the sync process, and fixed a number of bugs. There's also a report that the long paragraph bug is fixed, and that this update adds support for the new cursed Adobe DRM. There is also one report that collections are no longer being displayed "in a weird order". One beta tester also reports that Kobo improved the annotation features, including the changes made in the v3.4.1 firmware (some of which didn't work well). Other subtle changes include the state of the frontlight now being remembered across sleep, power off, and connection to PC (it used to default to off). The firmware updates should be sent out automatically over the next few weeks, but if you don't want to wait then you can find download links and instructions over on MobileRead. Long paragraph bug fixed for Epubs! If "Track reading activity" is not selected, the reading stats tile is no longer displayed after finishing a book. 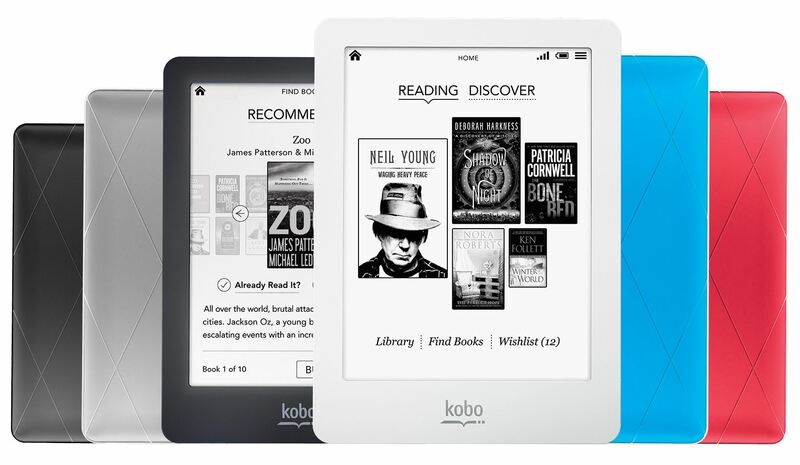 I’m curious about the Adobe DRM support – I’m running a Kobo Touch on version 3.2 (I hate Kobo updates with a passion) – does anyone know if this update will cause books to get locked out? Version 3.5 is ONLY for Aura, Glo, Aura HD, not for the Kobo Touch! Is also for the Kobo Touch N905C model (early 2013 model?) butnot for the original N905A, N905B (May 2011 models). If 3.3.1 is the last release for the original Kobo Touch, that means that there has been 3 years of firmware updates. I wonder how this compares to other brands. The new update to the PC client will not work on Windows XP. Way to isolate your client base! Your beloved XP is no longer supported by Microsoft; no new security updates since April 2014. Your wide open to hackers now. Not to mention it’s 13 years old. It still has more users than Windows 8. It seems to have killed by Glo today as well. It has been going through endless restore and updates all day. At the end of the restore period it asks me to connect and then goes immediately back into the restore and asks to be plugged in, etc. I wish this company would get its f***ing act together already!!! GRRR…. I agree with Brent. I want so much to use KOBO and purchase books from them but it is like they just don’t want to be in business. Aside from customer service, finding support to just do a firmware upgrade on the Kobo Glo has been frustrating. I expect so much more from a Japanese company.